For over 30 years, federal and private investment programs have focused on expanding the Bronx’s economic base and making this New York borough attractive to businesses large and small. For the most part, these programs have been successful, since according to the Center for Urban Culture, the Bronx comes out first in the list of New York boroughs in terms of business growth levels. It is estimated that this borough is currently home to more than 16,000 registered companies, and nearly 5,000 of those are small businesses. Business growth in the borough continues to be promoted through a number of financial incentives and support programs, which are described below. Springboard mini loans, administered by the Springboard Mini Loan Fund in collaboration with the Bronx Overall Economic Development Corporation, available to local start-ups owned by women or those who belong to minority groups. Grants and loans are also available from Local Development Corporations, and are available to business owners who can commit to either creating jobs or attracting inward investment to the borough. For further information, please visit www.ci.nyc.ny.us/nyez. Micro-loans and loans of up to $125,000 are available through the Small Business Revolving Loan Fund, which targets minorities and owners of small businesses who have been denied credit elsewhere. More substantial loans are available via the Metropolitan Economic Revitalization Fund, which offers loans of up to $5 million for the purposes of acquiring equipment or machinery and improving business premises or lands where businesses are to be built, as long as these are in economically distressed areas of the Bronx. Other options are open to companies based in the Bronx Empowerment Zone, which applies to Mott Haven, Hunts Point, Port Morris, and the area between 176th Street and Grand Concourse. These include incentives in the form of tax credits, such as the Industrial Business Zone Relocation Tax Credit, which can provide business owners involved in industrial or manufacturing activities with tax credits of up to $1,000 / employee. These apply to businesses based in Port Morris, Hunts Point, Bathgate, Zerega, and Eastchester. The Energy Cost Savings Program was created to help Bronx-based business owners with the cost of their energy bills. Eligible businesses can enjoy rate reductions of up to 45 per cent. Moreover, retail businesses (which make up for a large percentage of the Bronx’s industry base) can benefit from the IDA Fresh initiative, which provides discretionary tax incentives and exemptions to eligible grocery stores. 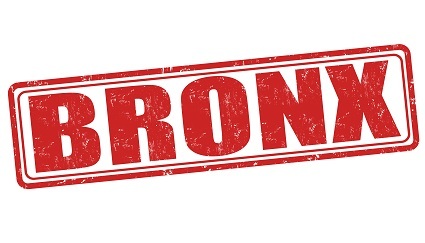 Several programs have been made available to boost entrepreneurial activity in the Bronx. Among these, we can highlight the NYC Entrepreneurial Investment Fund, which can support Bronx-based entrepreneurs in the tech sector with early stage investment funds. In addition, future entrepreneurs can benefit from training and mentoring programs, such as Business Mentor NY and those offered by the Small Business Development Center, whose Bronx office is located at Lehman College. Business counseling, support with product development, marketing, and business plan design is available through the Entrepreneurial Assistance Program. Members of the Bronx Chamber of Commerce can also benefit from expert advice, workshops and training courses. For a comprehensive list of industry-specific entrepreneurial assistance programs, visit this site. To support owners of small businesses in the Bronx with recruiting and training activities, the local authorities have launched financial incentives like the tax credits offered by the Excelsior Jobs Program, which is open to businesses involved in manufacturing, financial services, and technology. There also workforce development programs that connect jobseekers to Bronx-based employers. For example, HireNYC offers free recruitment assistance and support with workforce development goals. NYC Business Solutions Program & Training Funds is a similar program and has been designed to support owners of small business recruit and train talented individuals. For further information on available business and office space in New York City click here.